Alicia Saldenha returns with a new single, Differentology, from The Lady A Project – a collection of Caribbean-flavored electronic dance tunes, or TDM (Tropical EDM). 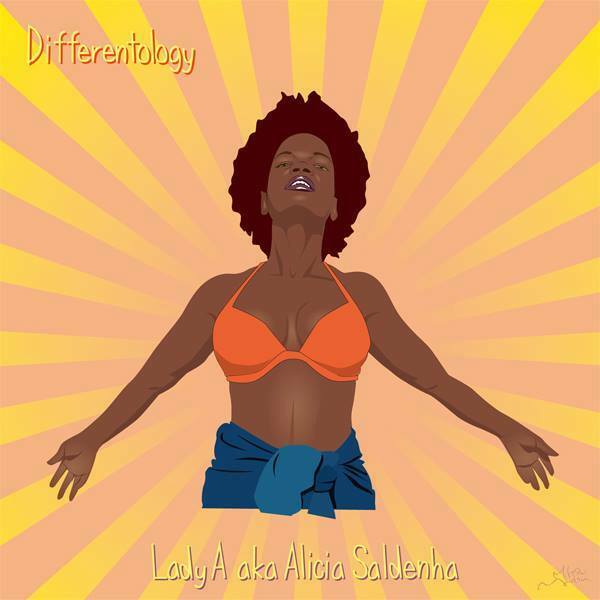 Differentology is the new single by singer, songwriter, MC and producer, Alicia Saldenha. It is part of a new creative project by the Trinidadian vocalist, composer, and activist. She is well-known as a jazz, soul, and funk singer-songwriter based in Japan, with two albums, “Rose” (with renowned instrumental group, indigo jam unit) and “Dance with the Sun” (her solo album) to her credit. She is the founder of Freedom Fest Japan, a festival devoted to human rights and social justice, as well as the producer and host of the music podcast, VibeOlogy, on Blackan Radio, Japan. As Lady A (aka Alicia Saldenha), the versatile singer showcases her edgier side, original rap, Caribbean and electronic dance music which she calls TDM or Tropical Electronic Dance Music, and her work as an MC and producer. Differentology is a Lady A Remake of a hit song by award-winning Trinidadian soca artist, Bunji Garlin. The original track was also given a famous remake by Major Lazer in 2013. This led to Garlin’s 2013 Soul Train Award for Best International Performance. Saldenha puts her own spin on the track, highlighting not only her unmistakeable vocals but her creativity as a producer as well.